It’s more than possible to make a living from freelance renovation or remodeling contracting if you know your stuff and go in with a plan. Contracting is an inherently uncertain industry since it’s so dependent on the broader economy. Consequently, preparation and flexibility will be the keys to your success. Here are a few general tips to guide you on the path to contracting profits. Firstly, it’s important to select a niche for your remodeling business. It could be kitchens, bathrooms, recreational rooms or general interior layouts. Your existing skills and know-how will obviously factor into this decision. If you lack in-depth renovation expertise but possess keen organizational skills, you could simply sub-contract the real work to the right people. Once you’ve decided on the scope of your renovation business, you can move on to actually putting it together. Form an LLC, a sole proprietorship or whatever legal entity you feel will best protect your interests. Take out liability insurance and get certified as a contractor in your state. Finally, register with the proper local government authorities. Gaining membership in the National Association of the Remodeling Industry or the National Association of Homebuilders is a smart idea. No matter where you stand in the contracting hierarchy, you’ll need to obtain the proper equipment such as a good work truck, a proper truck fitting from a company like Western Truck Body Mfg, and plenty of general tools. Something like a multi-purpose crew cab Chevrolet Avalanche or stock Ford F-250 should work well. Flesh out your physical asset inventory to include a full range of hardware such as measuring equipment, band saws, hand tools and so forth. Once your ducks are lined up, you’ll need to attract your first few clients. Use word-of-mouth advertising and social media platforms like Google+ and Facebook to market yourself. The first few jobs could be completed at cost to establish credibility and gain experience. In many states, projects that come in under an arbitrary cost ceiling such as $30,000 or so don’t require contractors to be licensed. Like it or not, your contracting business can’t exist in a vacuum. To guarantee sustainable revenue over the long haul, you’ll need to network with like-minded professionals as you grow to lock down the best deals. Mutually beneficial relationships with other contractors will often help you to land lucrative gigs. As a contractor, your reputation for trustworthiness will be your most valuable asset. As with any business, renovation contracting is what you make of it. 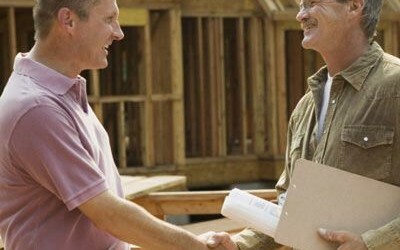 Nearly every successful renovation contractor is ultimately a proactive go-getter. Fear and doubt are the mortal enemies of any entrepreneur, after all. When you strike out on your own, you can’t expect somebody else to hold your hand on the path to triumph.